Admiral, Aero BBQs, Airwell, Alfresco BBQs, Amana, Americana, Andi, ARC, Atika Heating, Baumatic, Beef Eater, Beko, Bellissimo, Bonne, Brandt, Braun, Capital, Changhong, Christie BBQ, Cleanstar Vacuum Parts & Accessories, Conia, Concept, Condor Rangehoods, Daewoo, Davell, D'Amani, De Deitrich, Dyson, Elba by Fisher Paykel, Elica Collection, Emilia, Euro Appliances, EuroMaid, Everdure, Fagor, Falcon, Gagganau, G.E., Gianni, Glemgas, Gorenje, Heller, Hisense, Husky, Indesit, Jenn-air, JBS Air Conditioning, Kenwood, Linea, Liebherr, Lofra, Malleys Whirlpool, Metters, Mia Cucina, Midea, Mistral, National, Neff, Norge, Pacific, Rheem, Robinhood, Rosieres, Saeco, Scala, Scholtes, Siemens, Sirius, Speed Queen, St George, TCL, Tecmagas, Teco, Teka Kitchen Appliances, Tisira, Venini, Viali, Volta, Vulcan. 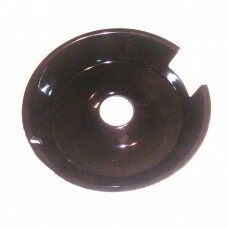 Spill bowl – universal 8” (200mm) enamel. 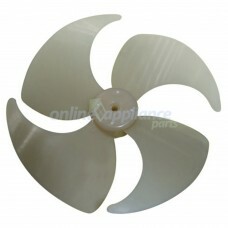 Suit all 8" plug in elements, Including Chef, Simpson, Wes..
Part Number 3011802400 Evaporator Fan Blade to suit NEC Fridge Online Appliance Parts can suppl..